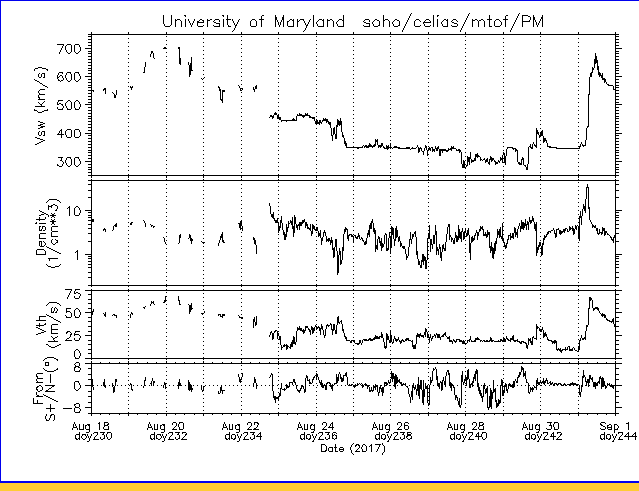 Proton Density and Solar Wind Speed over the last few days. Of note is today's sudden rise in the speed to 700km/s shown above and an expanded view see below. The density as expected has dropped very low as the speed rises. 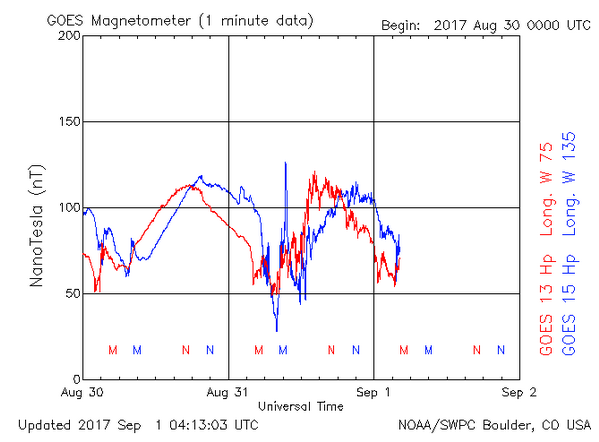 while all this is happening, the GOES Magnetometer did this jurking drop to below 50nT yesterday. 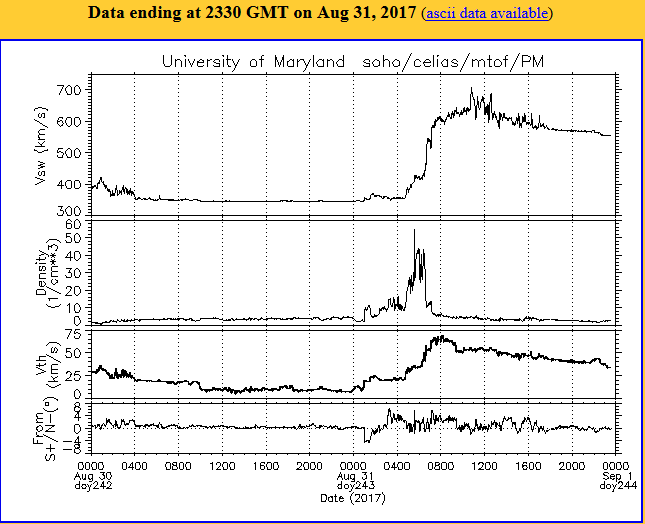 The drop in the magnetometer was at about 8am about the same time as the proton density dropped and the wind speed was top. 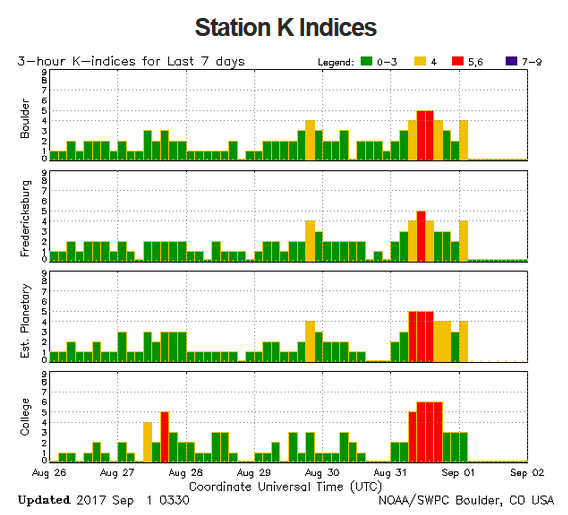 While all this was going on, Kp Indices went red. Later on in the afternoon we saw a 6.4R earthquake in Indonesia! Here below is also a WSA-ENLIL simulation model of the heliosphere, used by the Space Weather Forecast Office to provide 1-4 day advance warning of solar wind structures and Earth-directed coronal mass ejections (CMEs) that cause geomagnetic storms. 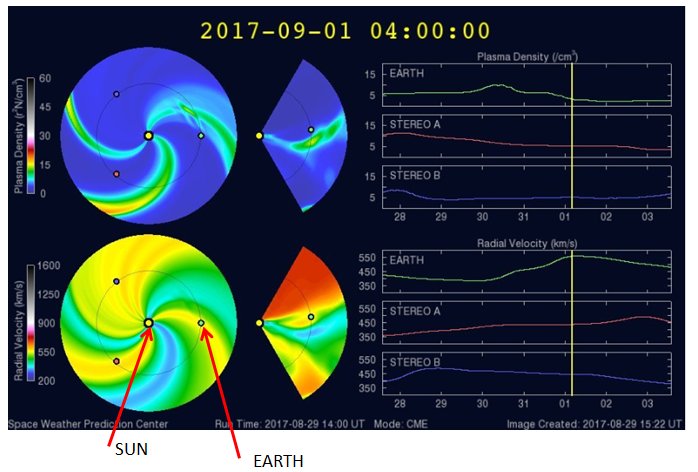 We can see the Earth is within the solar wind and it is on maximim speed. We could see more strong events >5R today and tomorrow.